The Downtown Vancouver Business Improvement Association (DVBIA) works hard to create engaging and accessible public spaces. 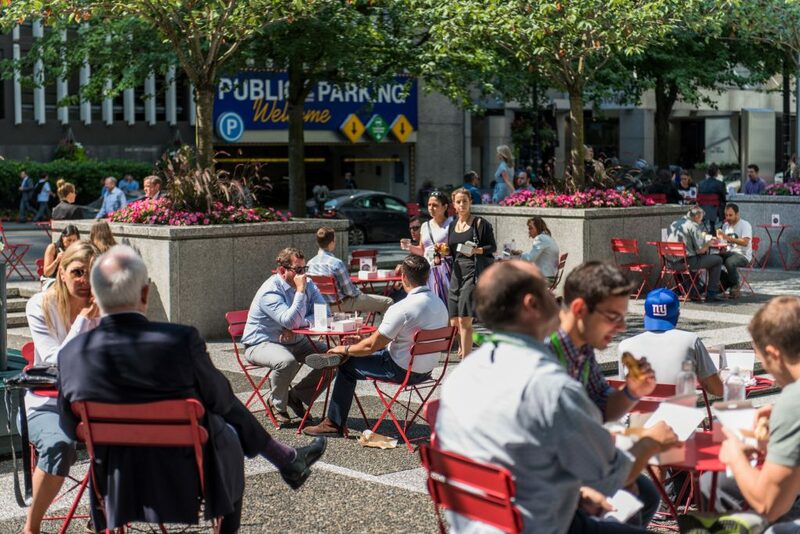 With a limited amount of public or park space in downtown Vancouver, the DVBIA created the Perch Program, which provides increased opportunities for the public to socialize, engage, or simply relax and enjoy their lunch. The Perch Program also provides support and resources for property managers to enhance their own privately-owned public spaces (POPS). Now in its 6th year of operation, the DVBIA has 13 dedicated Perch spaces in the downtown core. Of those 13, the DVBIA manages and programs three Perches, which include Lot 19, Cathedral Square, and 855 Granville Street. Our Perch program capitalizes on the opportunity to transform privately owned spaces into welcoming, accessible, public spaces. 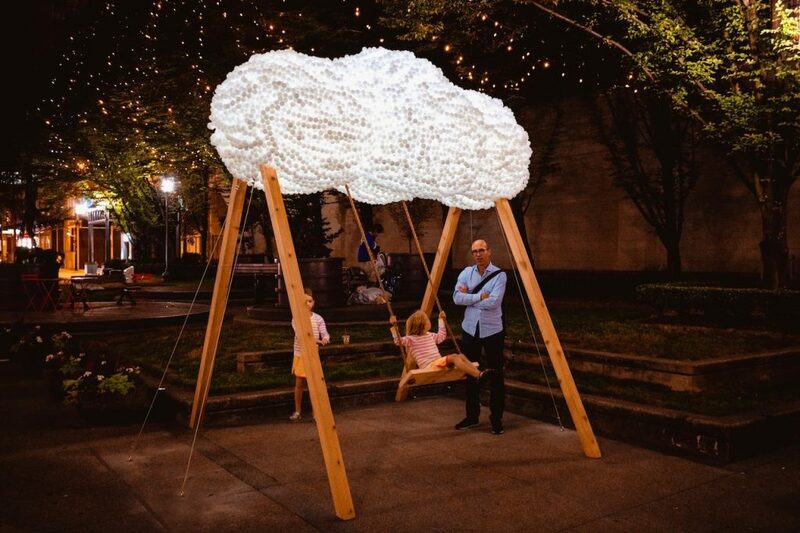 The Perch program is based on the ‘Lighter, Quicker, Cheaper’ placemaking approach, and each Perch works with the design and features of its location to maximize public engagement potential. Each Perch is identified by a branded sign that welcomes the public to enjoy the space and outlines the hours of availability and programming. In addition to the sign or sandwich board, a core component of every Perch is seating, typically movable chairs and tables that provide flexibility and an infinite number of configurations. With a foundation of seating and a welcome sign, Perches can be further enhanced with one or more layers of programming and activations. With more layers involved, spaces become more animated and people are more engaged in them. Some of our Perches are more passive spaces that provide a quiet spot to enjoy a coffee or bite to eat. Others are more interactive and are programmed with themed days and activities, such as “Art Monday” to “Fitness Friday”. We have found that having specific activities on dedicated days of the week works best for Perches. It creates an association with the space and specific days of the week. Our Perch program creates welcoming public spaces that generate an atmosphere and level of engagement that improves the emotional wellbeing of those that live, work and commute through the area. 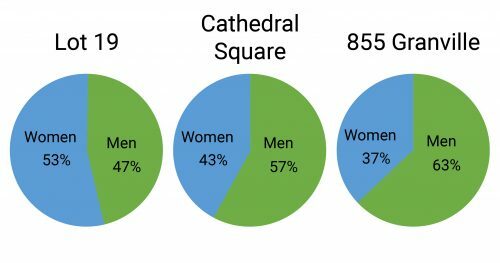 To ensure our Perches continue to be vibrant, inclusive downtown public spaces, every year we conduct a public engagement survey and collect measurements to better understand how people use Perches and their feelings towards them. The feedback and data we collect helps the DVBIA evaluate the efficacy of existing activations and placemaking efforts and sheds light on how to further improve these public spaces. 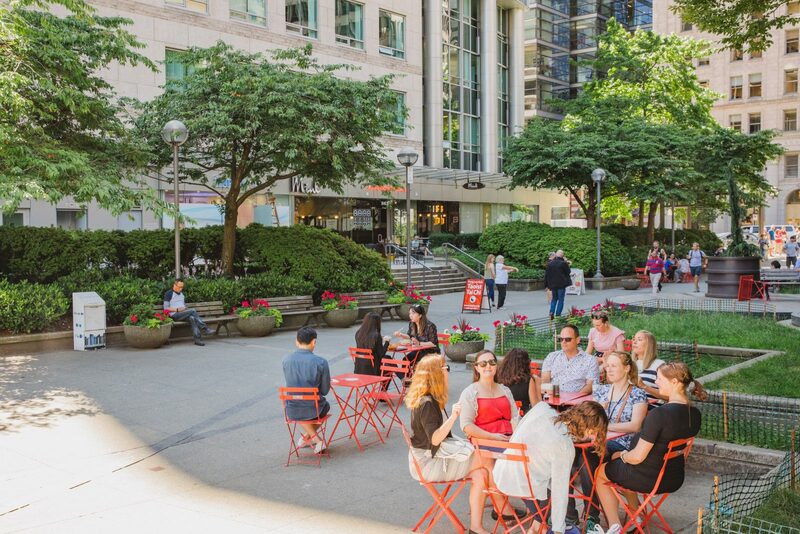 Over the years, we have seen increasing interest from downtown employees and the general public for spaces that provide opportunities for social interaction and engagement. 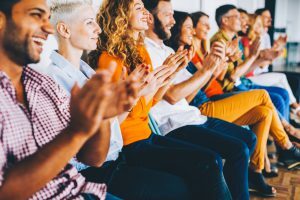 Commercial property owners and businesses are also recognizing the value of having high-quality public spaces at or around their buildings. Animated public spaces are becoming just as valuable as good transit accessibility and having a variety of food options nearby. Across all three of our Perches, over 95% of survey respondents agreed that it’s important to have public spaces like this (Perches) in our city.